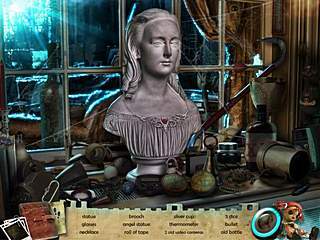 Youda Mystery - Stanwick Legacy was released a few days ago into the hidden object puzzle adventure genre. The games reveals the mystery of Emma's parents'death. The game is nicely polished in its every aspect. It didn't take Emma too long to notice that there is something strange going on in the mension. The story begins with introducing you to Emma and her story that is just about to take a turn. You are told that she was raised by her grandfather after the death of her parents. Now her grandfather has died and she goes back to a mension that she left long ago when she moved to a boarding school. It didn't take her too long to notice that there is something strange going on in the mension. Then she also finds different clues from her granfather about the mystery behind the death of her parents. So this is the background of all the levels you are to complete. 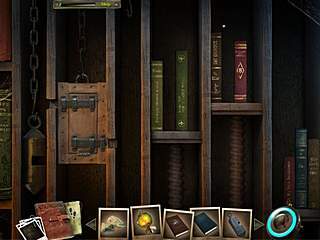 The game features three kinds of levels. The hidden object lovers will not be disappointed with the number of those levels here. They are not very easy too. ou will also have to walk around a lot exploring the mension and tring to find and use all the inventory that you can find. All of those locations often have different puzzles to solve. They are all skippable, but you might as well find them fun to solve. All in all the game is rather attractive and children-friendly too. The mysterious story isn't dark with some kind of demonic taste or creepy characters. The audio-visual presentation is polished and creates a welcoming atmosphere for the gamers. This is Youda Mystery - Stanwick Legacy review. Download this game here.